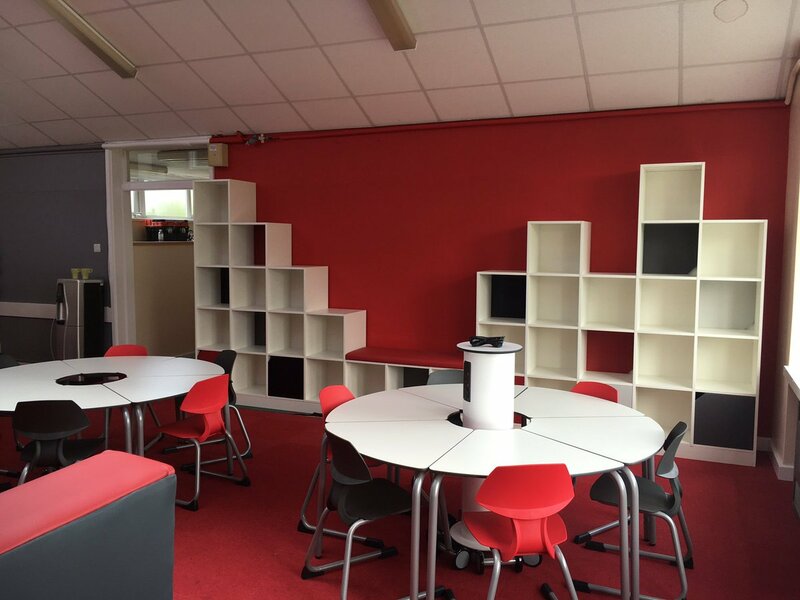 Breakout LRC and focal point for the school. The Hive! 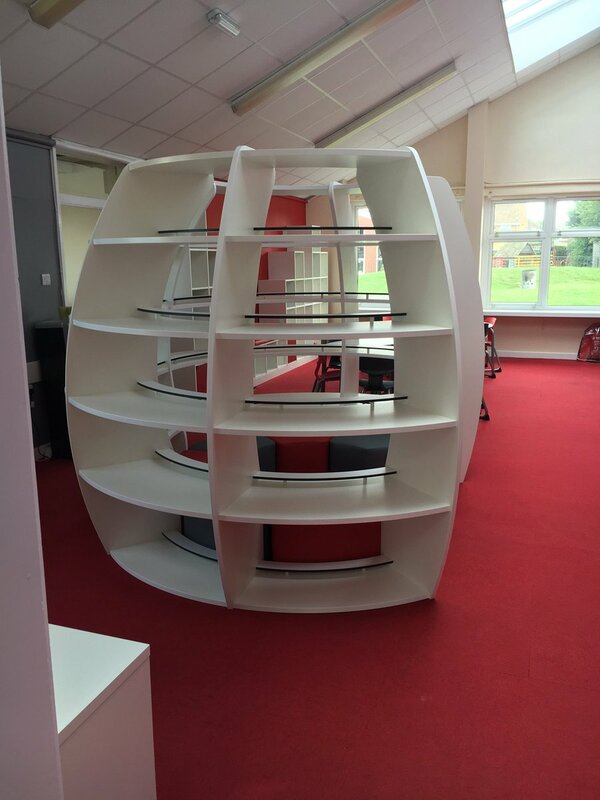 Eastfield Academy near Grimsby asked zioxi to create a bright and modern breakout space for their students. 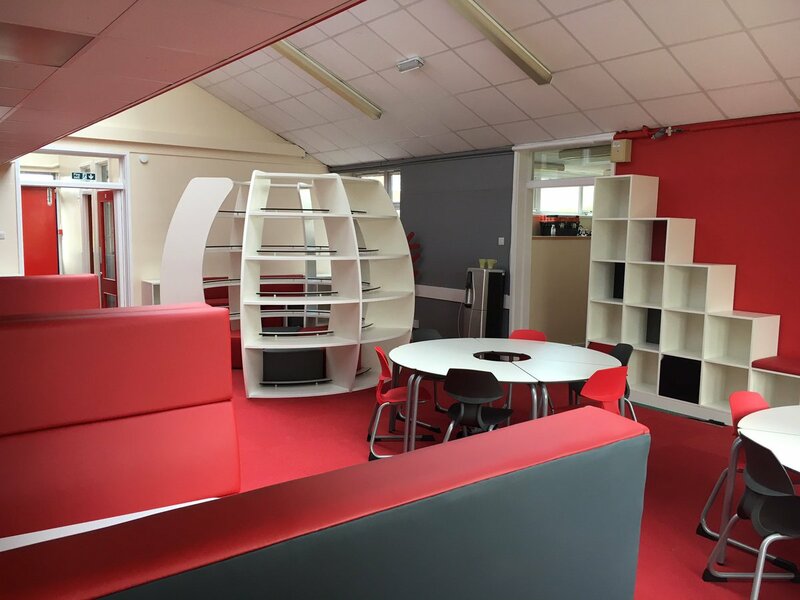 The space needed to be multifunctional and flexible, allowing for a range of ways of working, including collaborative groups and 1:1 learning. At one end, the BookHive provides a comfy enclosed area for group working and also functions as a book shelf holding around 1500 books. 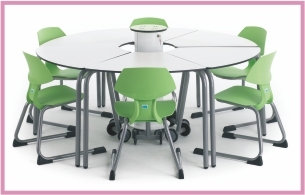 zioxi Boo seating down the wall is perfect for 1:1 working with tapered tables ensuring easy access. 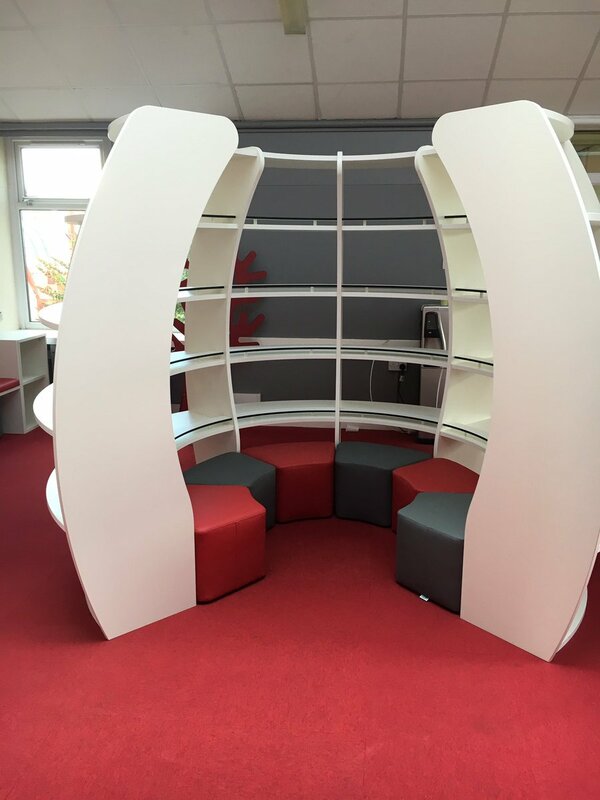 In the centre section t41 tables and PowerHubs provide a flexible solution for larger groups and these tables can be moved and reconfigured to form multiple shapes and group sizes. Integrated with the tables are PowerHubs to provide charge to mobile devices and laptops.